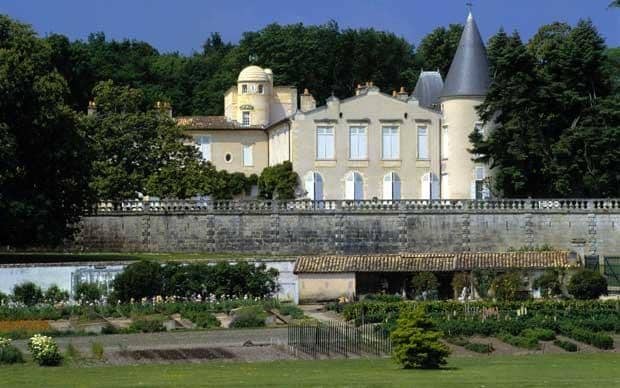 As reported in the Sud-Ouest newspaper, Christophe Salin, the manager of Château Lafite Rothschild, got into trouble recently for a speech he gave at a tasting in Montreal a while back. What exactly did Salin say? First in French, then translated into English. “Years ago, all it took to become managing director of Lafite or cellar master of Lafite was to be the son or grandson of the previous one. However, unfortunately, that did not work out over time, for a very simple reason: the Médoc is a peninsula, and there was much marrying between blood relatives. By the third generation, there were some cross-eyed children… I ended this practice with Baron Eric de Rothschild by hiring qualified people from outside the region”. These comments did not sit very well with Pierre Revelle, a municipal councillor in Pauillac – as well as the son, grandson, and great-grandson of Lafite cellarmasters, who decried Salin’s “obvious contempt for generations of workers who made Lafite what it is today”. Revelle went on to say “The great 53, 61, 82, 85, 86, 89, and 90 vintages were produced by people without diplomas”. 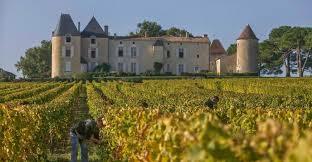 Salin apologized to Lafite employees and declared to Sud-Ouest, “I am unhappy. I have no excuse to offer. 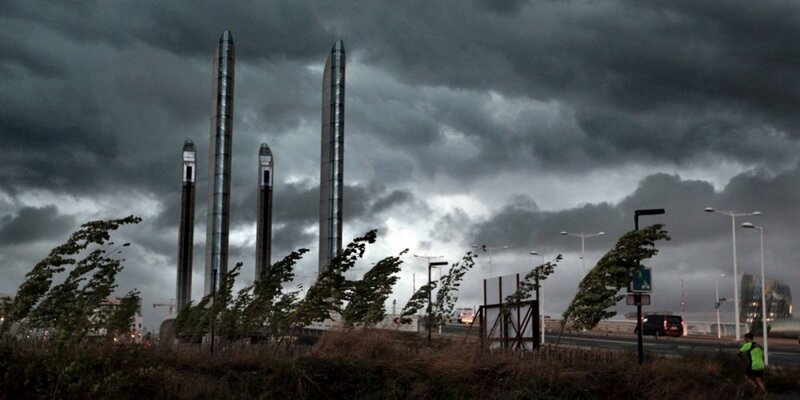 What I meant to say is that the people of the Médoc were specialized in their work and close to the terroir. Honestly, this affair is all very sad to me”. 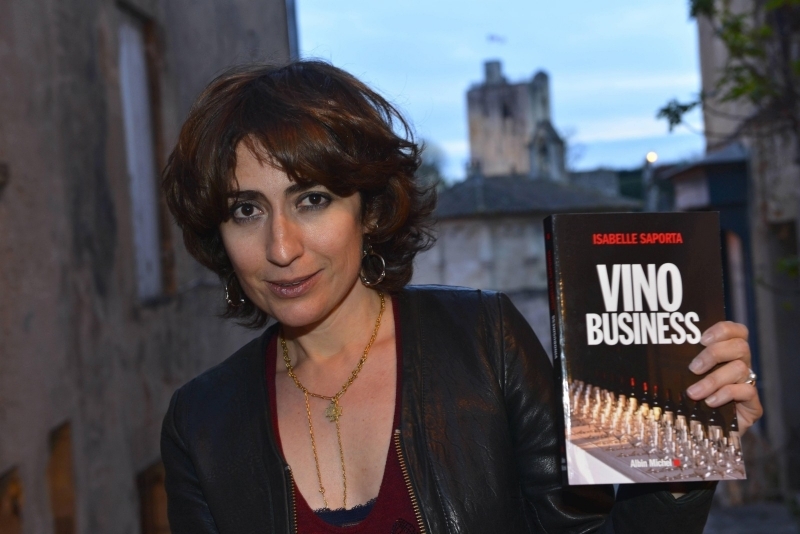 Posted in Opinion and tagged Bordeaux, Médoc, vavino, wine, winelover on September 21, 2016 by AlexR. Huge storm last night and – finally – rain. This has been a very weird year: rotten spring and early summer, than an unusually late long, intense heat wave. Precipitation has been close to nil for the last month. Merlot should be picked the last week of September and Cabernet the first 2 weeks of October. The heat wave did cause scorching and intrupted ripening on some terroirs. Posted in Uncategorized on September 14, 2016 by AlexR. 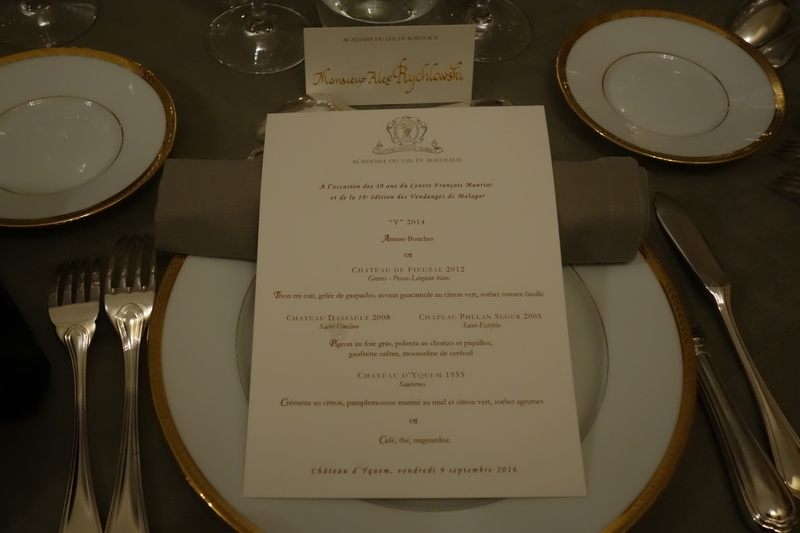 The Académie du Vin de Bordeaux kindly invited me to dinner at Château d’Yquem last night (9th of September). I have visited the château on a fair number of occasions, but certainly never enjoyed a meal there, so I was really looking forward to this. The château has three dining rooms and there were about 60 of us in the largest one. 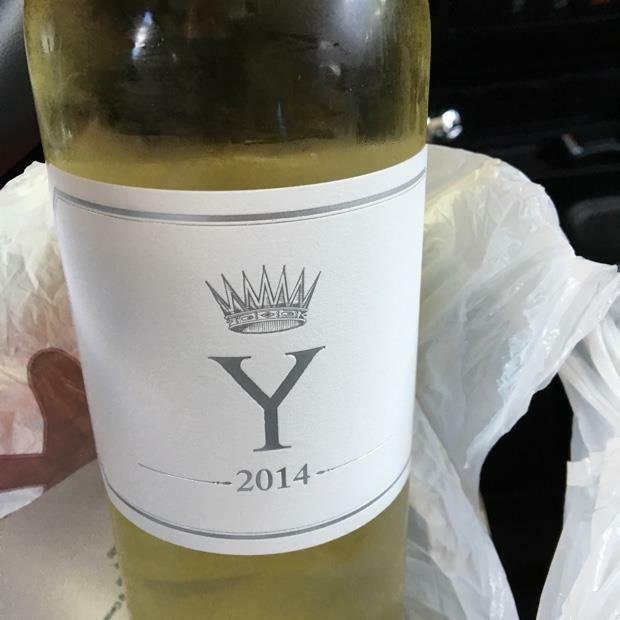 The meal started out with 2014 Y on the terrace. This wine has changed completely from when it was first introduced in 1959. For many years, the grapes were picked after the ones used to make Sauternes. Now they’re picked before. The 2014 (60% Sémillion, 40% Sauvignon Blanc, and no Muscadelle) was an ideal aperitif. Whereas Y used to be on the thick side and pretty much like a dry, or mostly dry Sauternes, the new generation Y is crisp, elegant, and seemingly on the light side. This 2014 is so enjoyable now that I wonder how it will change over time or if it actually needs to age. The oak is definitely unobtrusive. The first course (thon mi-cuit, gelée de gazpacho, avocate guacamole au citron vert, sorbet tomate-basilic) was accompanied by white 2012 Ch. Fieuzal. I’ve had a few premoxed bottles from this estate in the past, but when white Fieuzal shows well, it shows very well. 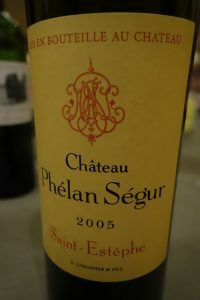 It is one of those rare estates in Bordeaux where the white wine has better press than the red, and sells for much more. In any event, in all honesty, the Pessac-Léognac was better in my opinion than the dry Sauternes. It displayed great balance and a wonderful flinty aftertaste. The marked acidity seemed to fit in beautifully with the overall structure, and the oak influence was positive. The second course (pigeon au foie gras, polenta au chorizo et piquillos, gaufrette safran, mousseline de cerfeuil) was served with two red wines, both of which I quite enjoyed. Incidentally, both were made by women who were present at the meal and who commented each other’s wines for everyone’s benefit. 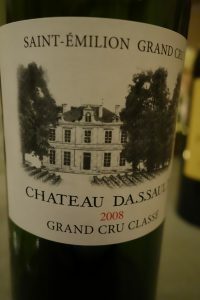 Château Dassault is a Saint Emilion grand cru classé owned by one of the richest men in France (aerospace, etc.). The 2008 had a sweet, plummy bouquet with good oak and a very rich flavour with a velvety texture. I would only fault the overly obvious presence of alcohol on the finish. This was a strong wine that can use a little more time to show its best. Château Phélan Ségur in Saint-Estèphe has long been a much-respected cru bourgeois (previously an “exceptionnel”, although this distinction has disappeared). The 2005 was classic claret with a lovely Médoc nose featuring graphite and violet overtones. The texture was silky and the aftertaste was long and assertive. I expected this 2005 to be more forward than it was. It wasn’t terribly closed-in, but clearly has good mid-term ageing potential. 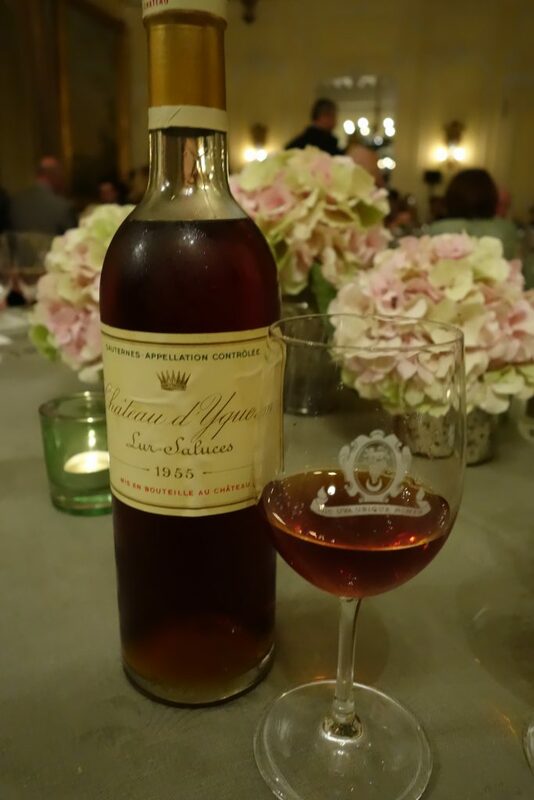 1955 Yquem was served with dessert (crémeux de citron, pamplemousse mariné au miel et citron vert, sorbet agrumes). 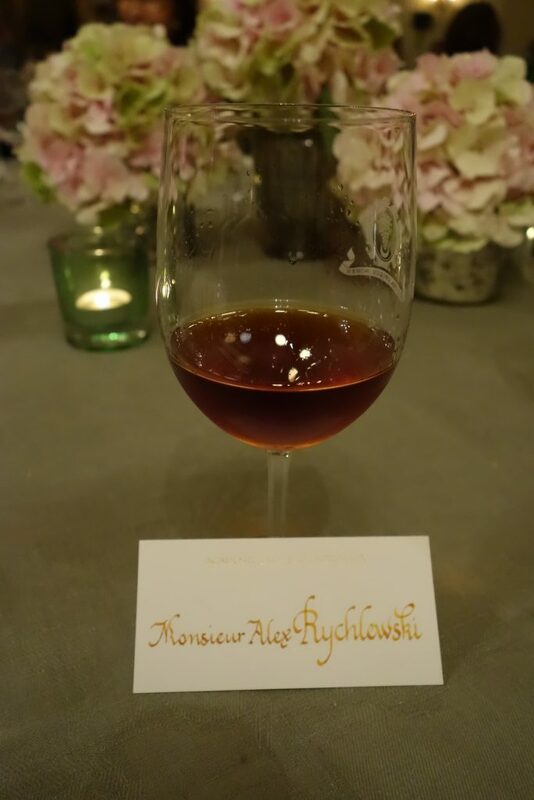 The color is hard to describe, and people at my table agreed that the wine looked a little older than its years, with a mahogany and golden hue as well as a faint pinkish tinge. Although unspectacular, the nose was engaging with hints of mandarine orange, orange peel, and spice. However, the wine well and truly strutted its stuff on the palate, which was gorgeous. The texture was caressing, silky, and phenomenally sensual. There were flavors of crème brûlée and caramel as well as a host of citrus and tropical fruits (mango). I also found the unmistakable vanilla component that is a hallmark of Yquem to me – and which I do not attribute to oak. This vintage of Yquem showed good acidity and will of course live for decades to come, but it is as good as it ever will be in my opinion. Posted in Tasting notes and tagged Bordeaux, Médoc, Sauternes, vivino, wine, winelover on September 10, 2016 by AlexR.